When NCEP is selecting new scholars, there are three things we look for: financial need, a supportive home, and a demonstrated desire to go to school. Financial Need: Sarita’s mother, recently abandoned by her husband, is the sole supporter of three children. She never had the opportunity to go to school, and the family’s only income comes from sporadic work she can find as a house cleaner. Without NCEP, she could likely not afford to send any of her children to school this coming year while still putting food on the table and a roof over their heads. Supportive Home: After initially meeting NCEP Team Members Raju, Luke, Bonnie and Sandeep, she would come by often to tell them just how important it was for her that her children get a good education, and that if we could help give them this opportunity, she would do everything she could to support them in school. She was never pushy or demanding. She just wanted us to know. 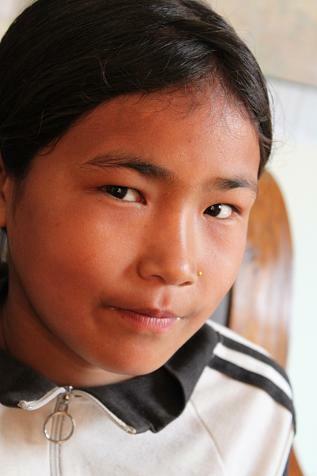 Desire to go to school: Sarita’s attendance record and results last year were excellent. But her commitment to education showed most clearly after she recently completed Class 2. Recognizing that her mother could not afford to pay all her school fees, she went out and found a job selling carrots by the roadside so that she could buy a uniform and stationary for Class 3. We were truly amazed by the initiative taken by this 11 year old girl. Sarita and her family made it an easy decision for NCEP. Both Sarita and her younger sister, Aayushma, will be attending the Sitala Higher Secondary School as NCEP Scholars in 2011. Her younger brother, Sajan, will be entering upper-kindergarten this year, and is being supported by a private donor. Sarita will be entering Class 3. 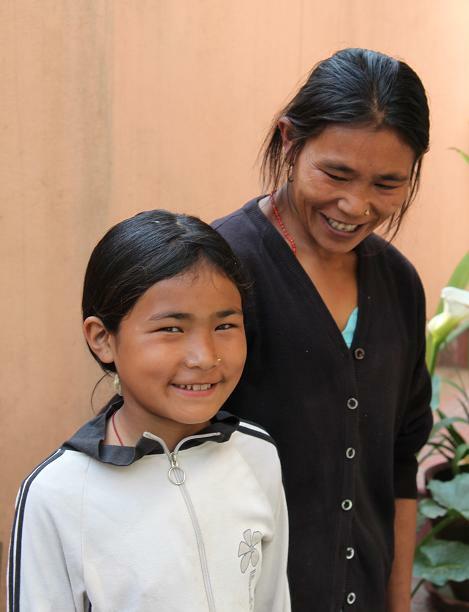 Originally from outside Kathmandu, Sarita and her mother, sister, and brother, now live in an area called Banasthali, near Kathmandu’s famousMonkeyTemple. Their home is a 20 minute walk from the school, and she will go each day with her sister. A very intelligent girl and diligent student, Sarita is shy and gentle by nature, with a smile so wide that it almost makes her eyes disappear. Both Sarita and her younger siblings hardly missed a day of school last year, and are at or near the top of their class in every subject. Since the start of the current academic year, teachers and NCEP Field Volunteers have reported that Sarita usually sits at the front of the class and often asks questions. It seems that no one can say enough good things about this young lady, and we are thrilled to be able to help her seize an opportunity that she so truly deserves. Click here to read a letter about Sarita’s progress from her Field Volunteer, Sanjay. 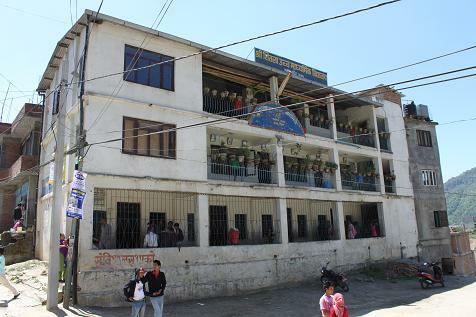 Sarita and Aayushma’s school near Banasthali. NCEP Co-Founder Raju and Sarita’s mother Maya walk back towards Maya’s home after visiting the school. From left to right: Sarita, Raju, Maya, and visiting NCEP Co-Founder Sandeep.